“Launch out into the deep …” (Luke 5:4). When I think of Jesus’ words, actually His command to the disciples, it causes me to think of the “deep waters” of committed Christian living and the sacrificial giving of one’s life and resources for the purpose of a “great catch.” Living a life of faith, in all reality, is living a life of risk. But for some reason, most of us don’t get it, and if we do, we aren’t interested in signing up! Because of this, we have very few today who are willing to leave the comfort and conveniences of America to give it all to God in a foreign land. 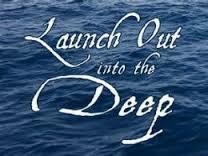 In other words, we have very few today who are willing to launch out into the deep. A century ago, a band of brave souls became known as one-way missionaries. They purchased single tickets to the mission field without the return half. And instead of suitcases, they packed their few earthly belongings into coffins. As they sailed out of port, they waved good-bye to everyone they loved, everything they knew. They knew they’d never return home. A. W. Milne was one of those missionaries. He set sail for the New Hebrides in the South Pacific, knowing full well that the headhunters who lived there had martyred every missionary before him. Milne did not fear for his life, because he had already died to himself. His coffin was packed. For thirty-five years, he lived among that tribe and loved them. When he died, tribe members buried him in the middle of their village and inscribed this epitaph on his tombstone: When he came there was no light. When he left there was no darkness. When did we start believing that God wants to send us to safe places to do easy things? That faithfulness is holding the fort? That playing it safe is safe? That there is any greater privilege than sacrifice? That radical is anything but normal? Jesus didn’t die to keep us safe. He died to make us dangerous. Faithfulness is not holding the fort. It’s storming the gates of hell. The will of God is not an insurance plan. It’s a daring plan! Far too many of God’s people are paddling in the shallow waters of life, rather than stepping out in biblical faith and taking a risk to obey the Great Commission. Because of this, the “catch” continues to swim further and further away from God. Time to launch out into the deep waters with, and for, Jesus! Just reflecting on those red letters of Jesus!! !